If you don’t like the hassle of contacting a tour operator and haggling for rates, Delhi Tourism offers some well organised city tours. Delhi Tourism city tours are are good for backpackers and travellers with shoe string budget. 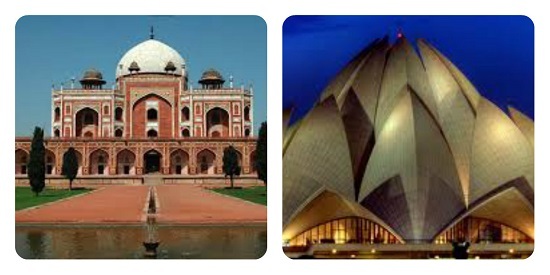 Delhi Tourism conducts half day and full day city tours, which can be booked online. A traveller can avail Delhi darshan tours by Delhi Tourism from Tuesday to Sunday. Delhi Tourism bus tours are a good and economical way of exploring Delhi’s popular tourist attractions. Places Covered: Lakshmi Narayan Temple, Gandhi Smriti,Qutab Minar and Lotus Temple. On Saturday and Sunday, when the tour starts at 8 am, Metro Museum at Patel Chowk Metro Station and Art Gallery at INA Metro Station are also covered. Please Note: A tourist has to pay Rs. 12 extra for metro ride between Patel Chowk and INA Metro Station. Places Covered: Red Fort, Raj Ghat and Humayun’s Tomb, Lakshmi Narayan Temple, Gandhi Smriti,Qutab Minar and Lotus Temple. How to book Delhi Tourims City Tours?